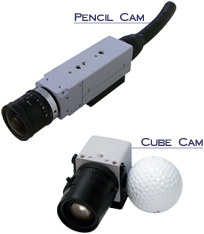 The compact size of the FASTCAM SA8 conceals powerful high speed imaging performance. A choice of two performance options provide frame rates of either 2,000 fps or 3,500 fps at 1,280 x 1,024 pixel image resolution with increased frame rates at reduced image resolution. Innovative CMOS image sensor technology provides high quality, low noise images not previously available from high speed camera systems. True 12-bit ADC produces sharp, high contrast imaging to perfectly replicate the fine detail of subjects being recorded. Excellent light sensitivity and a 10 microsecond global electronic shutter allow the system to be employed in demanding imaging applications. The 12.8 x 10.2mm sensor size allows the FASTCAM SA8 to utilize 1 inch format C mount lenses and F mount lenses. The camera benefits from a sealed camera body construction allowing use in harsh environments without ingress of dust and other contamination. 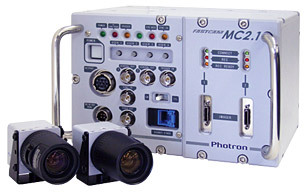 The camera’s rugged and compact design (camera body size 151(5.9″) x 102 (4.0″) x 195 (7.7″) mm) allows positioning in space-limited locations and integration with other instrumentation systems.